Yesterday’s macro photo was not a real mystery, but it was so beautiful! I had to share it with you. It was a very close photo of a “blob” of snow. That day, the snow was wet and falling in clumps. 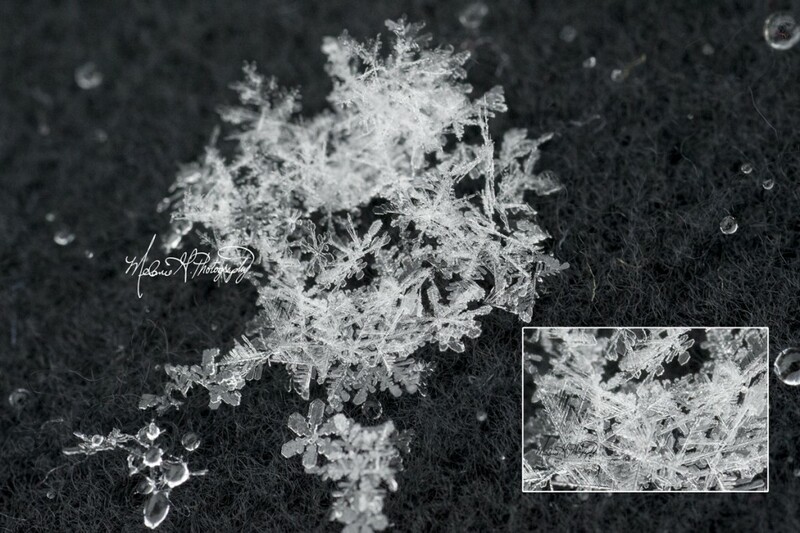 This clump was a ball of snowflakes tangled up together. Beautiful!